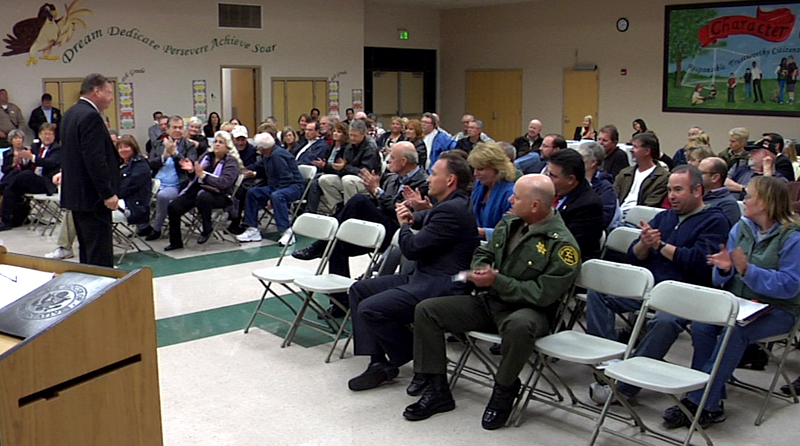 Talking with residents about Canyon Country questions and concerns, Mayor Bob Kellar hosted a town hall meeting for nearly 100 residents at Fair Oaks Elementary School on Wednesday night. The meeting last for more than an hour, as residents asked about what’s happening with Cemex, the high-speed rail plan and community policing. 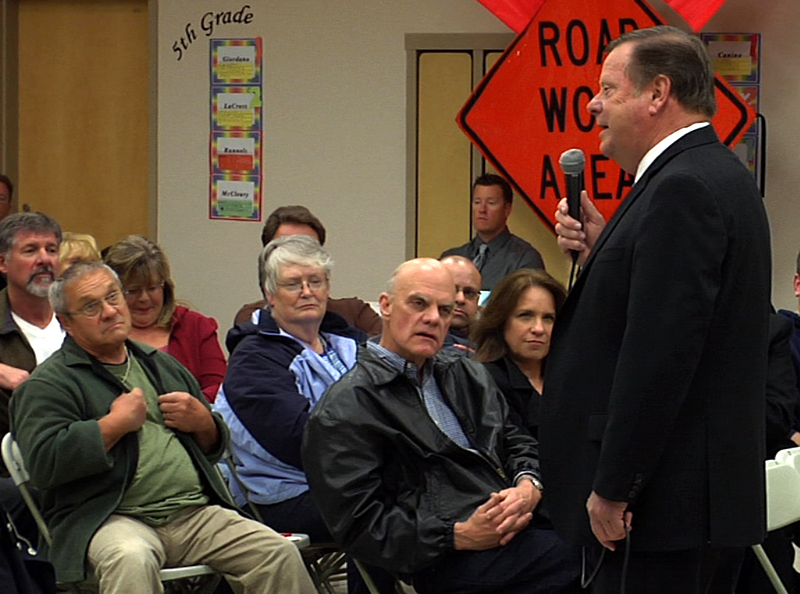 Kellar said he was pleased the attendance was even greater than at the last town hall. Kellar said he expected this year to be a “defining year” for Cemex. The mayor recently returned from a Sacramento trip that included discussion with the state’ new director for the Bureau of Land Management. Cemex has property rights to build a sand-and-gravel mine on the east side of the Santa Clarita Valley, but after hearing local opposition, company officials have expressed a willingness to compromise on a Victorville site, which would require federal land-swap legislation. “There was a broad range of questions, a couple having to do with some issues of public safety – (Santa Clarita Valley Sheriff’s Station) Capt. 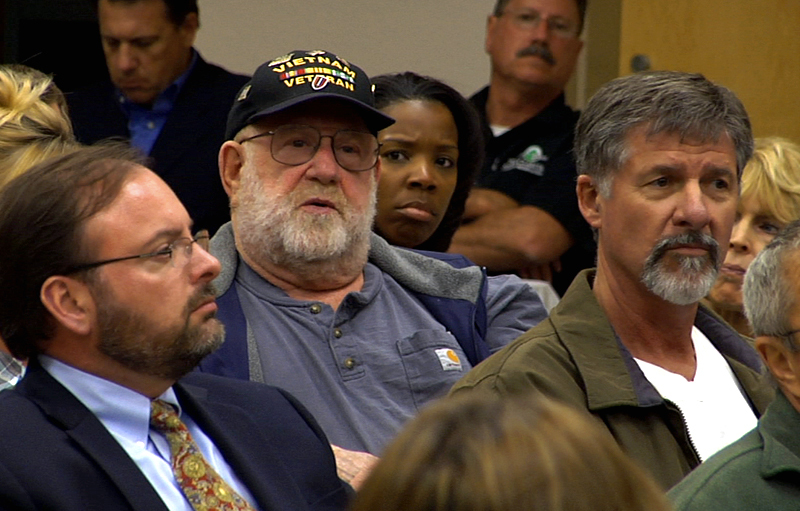 Paul Becker was there to answer questions, too,” he said. 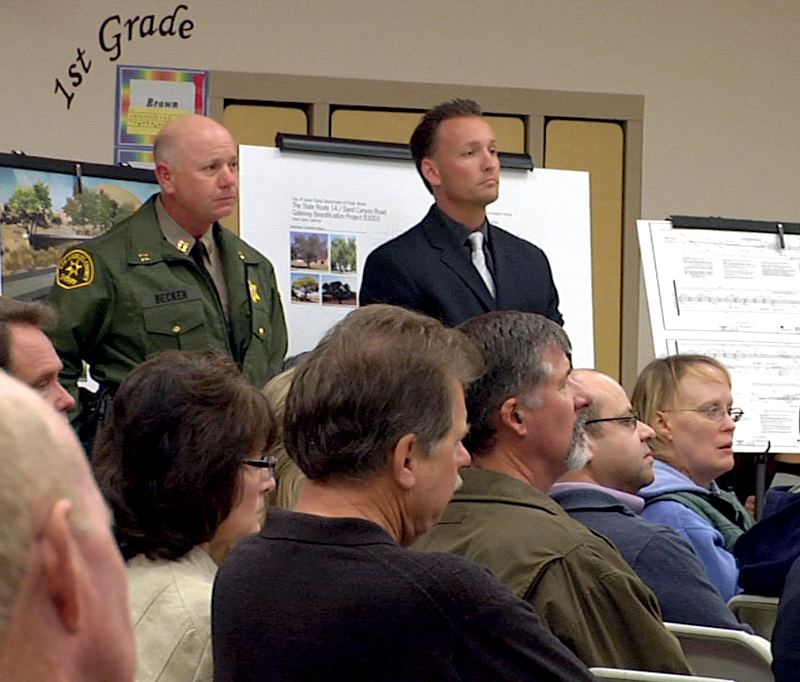 Becker stressed the station’s three-pronged strategy of enforcement, education and intervention, which is needed if the Sheriff’s Department hopes to see better countywide results than it has over the last 40 years. The state’s high-speed rail proposal was also a point of concern for local residents, and how the train’s path could alter the Santa Clarita Valley’s landscape. “What a problem – I mean, right through homes, churches, schools, it goes, and these folks back here know better than anybody. It’s going virtually right through classrooms in Sulphur Springs Elementary,” Kellar said.